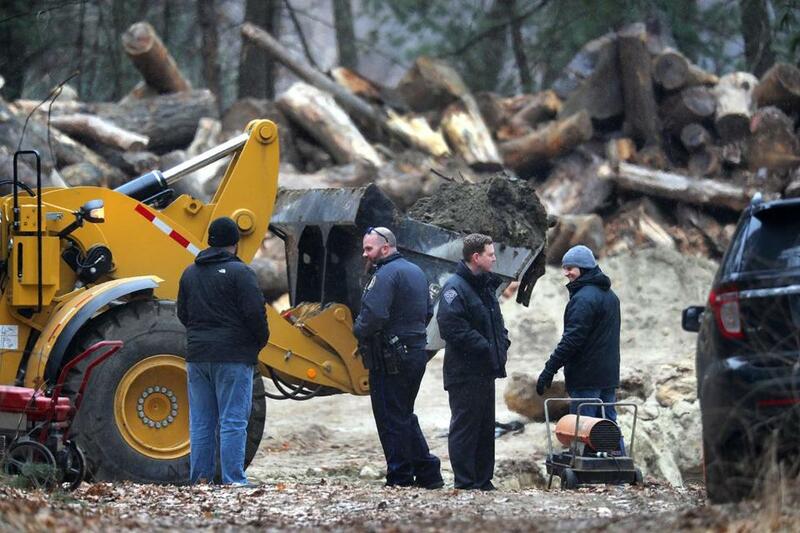 State Police used a front end loader to remove dirt at Tewksury Hospital Conservation on Tuesday. Investigators returned to Tewksbury Tuesday for the third time as they search for evidence in an ongoing criminal investigation, the details of which law enforcement are keeping under wraps for now. The search was launched Monday on Livingston Street near the grounds of the Tewksbury Hospital, officials said. Middlesex District Attorney Marian T. Ryan’s office is overseeing the inquiry, but would not provide any details of the probe or what case is being investigated. Kelly said there is no threat to the public. Police first searched the area on Dec. 29, returned on Monday with heavy excavation equipment, and are expected to be on site for a period of time Tuesday, Kelly said. Police also used cadaver dogs on Monday to search the area, she said. Mike Bello of the Globe Staff contributed to this report. John R. Ellement can be reached at ellement@globe.com. Follow him on Twitter @JREbosglobe.